Today we welcome Anna Belfrage to HT as part of the blog tour to celebrate the release of The Prodigal Son, the third book in the Graham Saga. 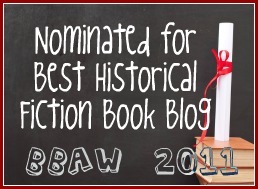 I’d like to start by thanking Historical Tapestry – and the ladies behind the blog – for taking part in the on-going blog tour for my book, The Prodigal Son by allowing me the opportunity to share my ramblings here. The Prodigal Son is set in the latter half of the 17th century, a period defined by religious conflicts, and the below is an attempt to give some background to these tumultuous times. In 1637, a young Scottish woman stood up in the midst of the church service, gripped her stool and hurled it at the dean. Picture the scene; St Giles Cathedral in Edinburgh is crammed with people, most of them there under protest, the dean is shifting from foot to foot, now and then his voice squeaks as he reads his way through the new liturgy. Up stands Jenny Geddes, incensed to the point of self-combustion, and sends her stool flying. Moments later, St Giles is a cacophony of raised voices, people shove and push and the poor dean retreats behind a stout pillar to avoid being hit by all the objects that people are throwing. So why all the hullabaloo? 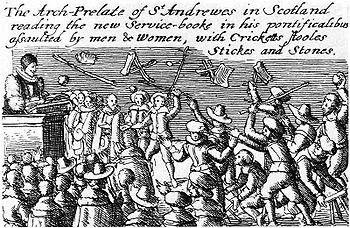 Well, it all comes down to religion – it often does, even in these days – and the conflict between Charles I, who wanted to impose a book of common prayer on all his subjects, and the leaders of the Scottish Kirk, who would rather eat a plate of toadstools than acquiesce to their sovereign’s meddling with their beliefs. When Jenny stood up that day in St Giles, I am sure she acted out of conviction. I am, however, far more doubtful as to the spontaneity of her little protest. For months the Scottish Kirk has organised protests, fanning the righteous anger of their flock into explosive fire. In keeping with the example set by John Knox, the father of the Scottish reformation, the Scottish Kirk of the seventeenth century insisted it should govern itself. When Charles tried to force the issue, the Kirk fought back – successfully, one might add. Incensed ministers of the Kirk called their flocks together, all over Scotland men came together to sign the National Covenant, a document that stated that no king had the right to come between man and God. It also served as a call to arms, and some years on the Scottish Covenanter Army was a force to be reckoned with, ably led by battle hardened veterans from the Thirty Year War. 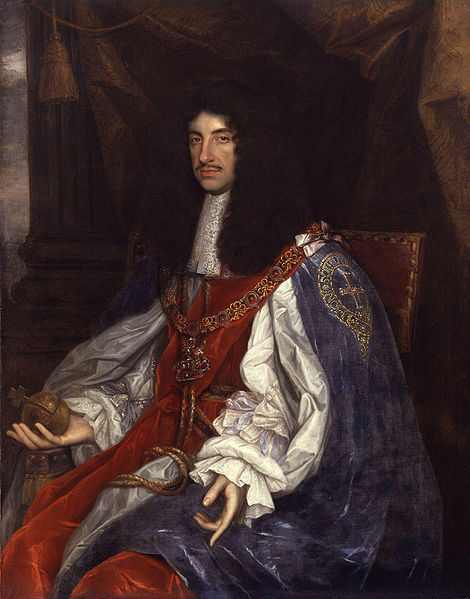 Charles I lost his throne – and his life – as a consequence of his meddling. Okay, okay, that is a simplification, because while religious controversy was the spark that ignited the Civil War, there were other, far more pragmatic, political reasons behind the ousting of the king. For men raised on the National Covenant, for men who had fought for their right to pray and believe as was taught by their Kirk, it was impossible to meekly abjure their faith. Instead, the congregations followed their ministers out on the moor to listen to the word of God as they considered it should be preached (a lot of brimstone and fire, no mealy-mouthed references to gambolling lambs in green pastures, not in a land defined by its core of harsh granite – both in its mountains and in its people). A deadly cat-and-mouse game followed, with the soldiers of the king chasing ministers and followers over the moors, while said ministers (and followers) did their best to evade them. Men were fined, they were flogged, and many of them were deported, some were executed in creative ways (such as being tied to a stake while the tide was out and left to drown when the tide came back in. Must be an awful way to die…) Still these stubborn Scots clung to their Kirk, still they refused to accept the hegemony of the king. “How idiots?” Matthew looms over his wife, hazel eyes burning into hers. He looks quite intimidating, but Alex seems unperturbed. Alex wheels. “Why not? Why can’t you just stay out of it?” Her hands whiten as she tightens her hold on her skirts and her eyes are uncommonly dark in her pale face. “It won’t come to that,” he tries, placing his big hands on her shoulders. “Alex,” he groans. She shakes her head and stumbles off. I think she’s crying, but knowing Alex she wouldn’t like me to go after her – at least not now. “Too late?” His eyes are stuck on Alex. Matthew blanches and looks at me. “I have no choice,” he says hoarsely. “Of course you do – all of us do.” I pat his arm. “Let’s just hope you make the right choice – for you and for her.” I’m talking to air. Matthew is bounding off in pursuit of his wife. It is somewhat ironic that the two king(s) that succeeded in totally rubbing most of the Scottish Protestants up the wrong way were, in fact, Scots. Charles I and his son were Stuarts, a dynasty young on the English throne, old on the Scots, but they were quick to forget their old homeland when presented with the tantalising – and exceedingly richer – aspects of their new, southern kingdom. As we all know, pride comes before fall, and some years on the last Stuart king would lose his throne to a large extent due to the lack of support from the Lowland Scots. But those events, dear reader, are the matter for a future instalment in The Graham Saga. that – just as I like how he makes me laugh so often I’ll probably live to well over a hundred.